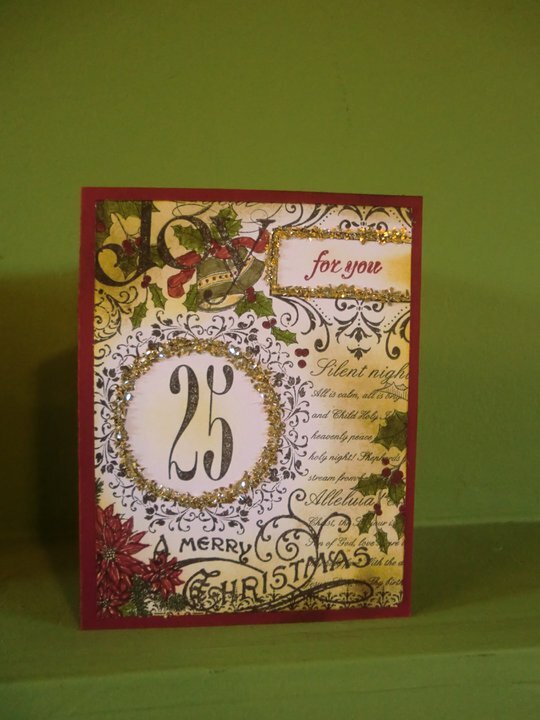 for the (heart) of stamping: Fail! Okay, so my youth do this thing where if someone does something wrong or bad or whatever, they say "Fail!" Which is how I feel about my blog... I have so many things I'd love to blog about, if ONLY I had the time! I got out of habit of writing twice a week, and now it's been over a month! We had a Christmas-Stamp-a-Stack last weekend, and that went really well... we came together, listened to some Christmas music, and made 12 cards in 3 hours! It was delightful... we even had apple cider... unfortunately, it was 25 degrees outside (celsius), so I ended up icing the coffee! I wanted to go a little untraditional with the colors on this one... simple, but beautiful! I'm going away a lot in the next month... next weekend some girls and I are heading to Portland for the Stampin' Up! 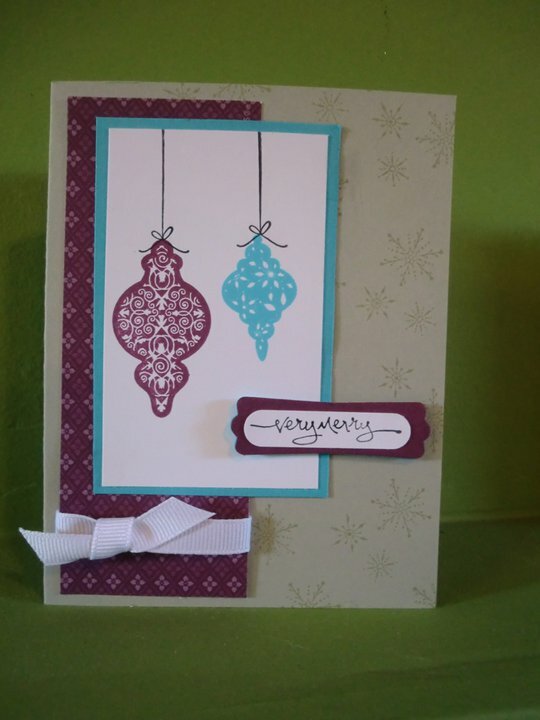 Regionals... this is my first official Stampin' Up! event, and I'm really excited! Then we get back Sunday,and tuesday I leave for Whisler, where I will be attending a Pastor's Convention with my husband... then we are back for 2 weeks, and we head to Disneyland with our girls! I am so looking forward to it! Addie is now nearly 6 months, and Audrey remembers Disneyland from the last time we went (I am proud to say this will be her 5th visit in her 3 years)... it should be a wonderful time with our family. That's all for now! More info on my Build-a-Bear Mommy and Me Class to come!